Muscle strain occurs on anterior and posterior muscles during whiplash meaning muscles could be injured on the front or back of the neck. The posterior muscles are much more prone to greater damage during whiplash. Areas that are most effected by whiplash are neck muscles as well as the mid-back muscles. Shoulder pain is another very common symptom of whiplash. 1. Bad posture is a common cause of neck pain. How is your posture right now? 2. Tension and stress cause the neck muscles to contract sometimes for log periods of time. This is a major cause of neck pain. 3. Neck pain is quite common due to trauma or injury. Accidents involving whiplash neck injury may result in acute or chronic neck pain that takes months or even years to improve. 4. 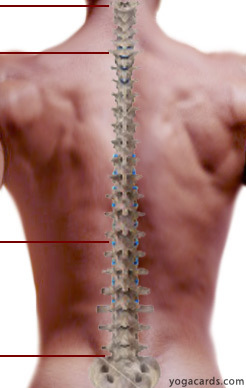 Prolonged overuse of muscles, tendons or discs in the neck area. 5. Pain that radiates down the arm is often a sign that a disc is herniated disc. Lying on your back stretch your arms out sideways (not over the top of the head as shown). Begin to move your head from side to side. Turning it gently. Repeat the motion until your neck feels relaxed and balanced. The Cat Flow in yoga can often balance the neck muscles when done properly. 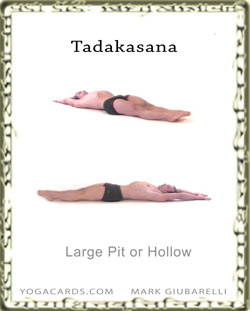 To do this come on to your hands and knees and inhale as you raise the belly up (tucking the chin to the chest) and exhale belly down (looking forward). 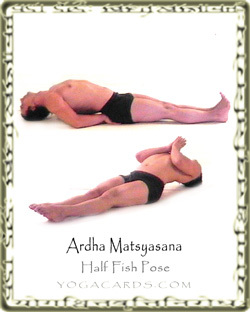 The Fish pose is quite hard on the neck. It should be avoided if a serious neck issue is present. It may be argued that this pose is a neck strengthening pose and strengthening the neck muscles leads to a healthier neck. If you choose to perform this pose it may be better to do it with a cushion underneath your shoulders. This way the stretching benefits can be achieved without pressure on the neck.